Wedding season is upon us, and our stylists are busy helping brides achieve their Cabo wedding style goals one great look at a time! Bride Alexandra and her wedding party got ready at their beautiful luxury private villa rental before Alexandra and Chris’ stunning outdoor ceremony and chic reception! 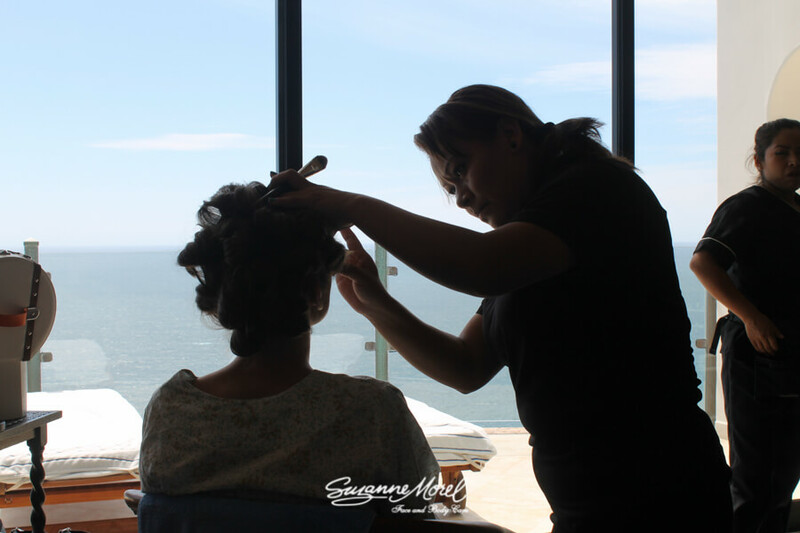 We are the most experienced bridal hair and make-up team in Los Cabos. 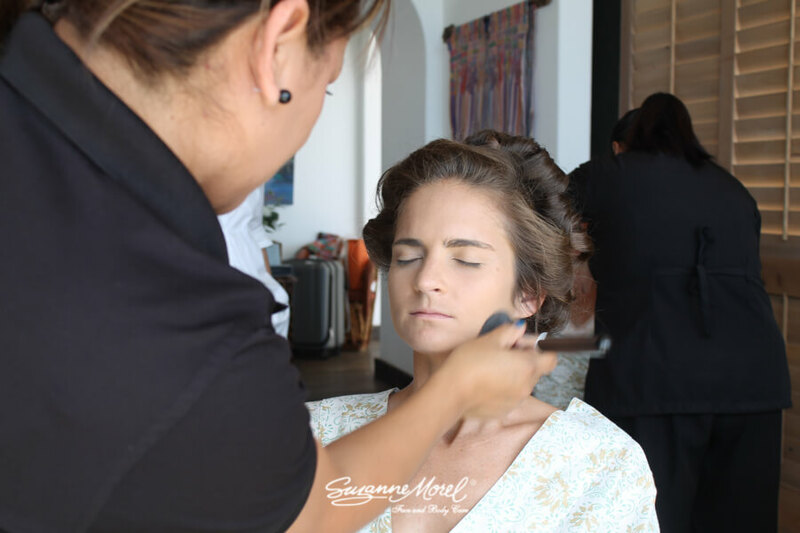 Suzanne Morel was the first to open a luxury mobile bridal salon in Los Cabos in 2002, and most of her stylists have been with her the entire 14 years. 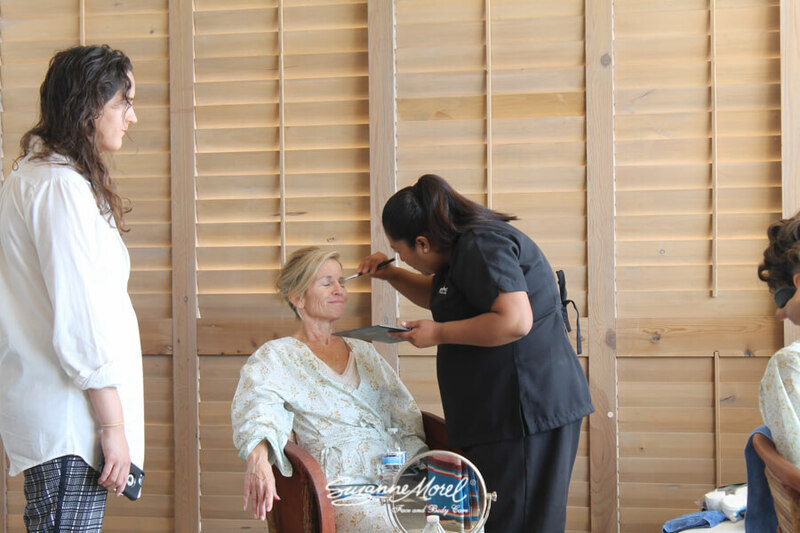 You will not find another salon in Los Cabos with an expert team like ours. We come to you! As a bride, you have enough things to do on the day of your wedding—you should not have to worry about taking a cab to a salon you’ve never visited and hope that everyone is running on time! We don’t even think you should have to go to the elevator. Sit in the comfort of your room, sipping mimosas with your friends, and enjoy the moment while we pamper you in style! Your appointment includes an English-speaking personal concierge. With Suzanne Morel, you don’t have to worry that your stylist won’t understand terms like “bronzy” or “contoured.” Your personal concierge will be at your appointment the entire time, making sure our team works efficiently even when there are last-minute changes. We only do bridal hair and make-up! That’s worth repeating—at Suzanne Morel Face and Body Care, we only style brides 365 days a year. We don’t do magazine shoots. We don’t do boudoir sessions. Our one and only focus is weddings. Our brides are the happiest in town, and a happy bride is a beautiful bride! 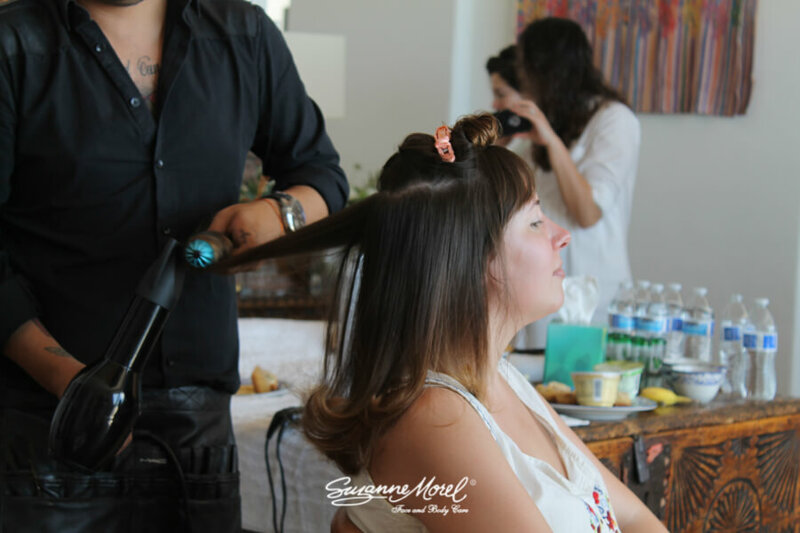 A Suzanne Morel Face and Body Care bride feels like a celebrity before, during and after the bridal hair and make-up experience. Any past bride of ours will tell you we work hard to exceed your expectations! Our team of stylists, with personal direction from Suzanne herself, make brides so happy they sometimes write to us the day after their wedding to say thank you!! Read how happy our clients are and see for yourself how beautiful they all look on our Testimonials page. You can also ask for bridal references when you call for your complimentary bridal consultation! Alexandra, we thank you for trusting Suzanne Morel Face and Body Care with your destination wedding hair and make-up! We hope you will stay in touch and let us know when you return to Los Cabos! This entry was posted in Cabo Bridal Hair and Makeup and tagged beach wedding in Cabo, best Cabo wedding hairstylist, Cabo bridal hair and makeup, Cabo bridal salon, Cabo hairstylist, Cabo makeup artist, Cabo wedding hair, getting married in Los Cabos, private villa wedding, Suzanne Morel brides, Suzanne Morel experience, Suzanne Morel Face and Body Care, wedding vendors in Cabo.